It must be rough to be 226 but that’s how old John James Audubon would be today. Let’s celebrate this man’s contributions to our feathered friends by doing something special for the birds. Want to encourage some activity in your landscape? Planting habitat species offers a food resource and provides sought-out nesting locations. You can also put up houses and feeders in your yard, welcoming these critters during mating season when plumage is most brilliant and activity at its highest. 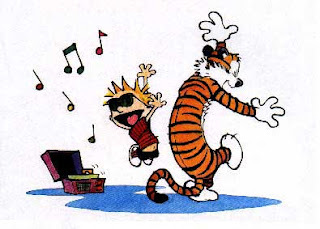 On that note, it’s time to get singing Happy Tweet-day and end this post with a funny quote from Bill Matterson, the Calvin & Hobbes cartoonist. “When birds burp, it must taste like bugs.” So get out the birthday suet and candles. It’s time to celebrate the birds. Oops. Forgot to note that these images are from the Internet. I only wish I could get this close to the bleubirds! Another oops! 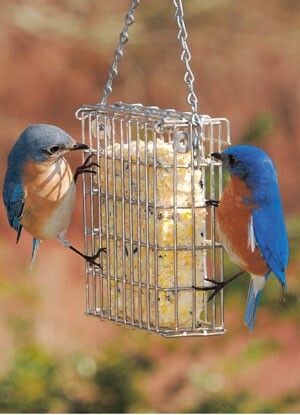 It's Bluebirds!I need those cheap reading glasses for everything close these days!